The Oakland Mind, a new artist collective, aims to elevate local musicians with collaborative shows and mixtapes, creative business opportunities, and lively street parties. The members of the Oakland Mind hope their collective efforts will help them live off of their art. In May, Gabriel Bronson quit his job at the YMCA in downtown Oakland to pursue music full-time. The 27-year-old Oakland singer-songwriter and beat-maker had worked as a house DJ for years, but this marked the first time he tried to sustain himself entirely by his creative endeavors. "It's difficult every day, but I'm not afraid, I'm excited," he said. "I'm pursuing my life's passion." Helping him achieve his goals is a new local hip-hop collective called the Oakland Mind, which aims to find creative ways to support musicians. Launched in January, the loosely organized artist collective started with a core group of friends who had previously collaborated on several music projects. Now the collective has fourteen members, including hip-hop artists and rappers such as Bronson, as well as videographers, photographers, graphic designers, visual artists, and others. 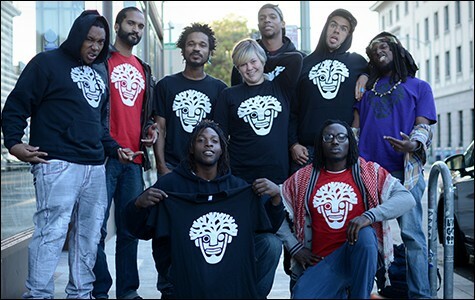 Since the group launched, the Oakland Mind has released two mixtapes, performed at and produced nearly a dozen shows throughout the Bay Area, and hosted free weekly open mics. The group also has a clothing line, mostly consisting of T-shirts featuring the Oakland Mind logo, a riff on the city's oak tree symbol. "The main goal is to build sustainable wealth so that we as artists can live off of our creativity ... make money with our music, and then invest that money into the community and into the culture and really build up here in Oakland," said Oakland Mind founder Najee Amaranth. The 23-year-old rapper has ambitious goals for the collective, including merchandise sales, partnerships with venues and arts groups, licensing opportunities, and more. "If you want something, you'll do it, no matter what," said Amaranth, who hopes to eventually quit his day job as a security guard to devote more time to the project. "There are ways to make money in the music industry, but as an artist you have to be smart. You have to be clever. ... I am totally optimistic." To start, the members of Oakland Mind are working on building their brand by producing regular music events and performing at a wide range of venues. The group also sells its merchandise at Bay Area arts events and at downtown Oakland boutiques Mary Weather and Show and Tell. Oakland Mind grew out of a series of performances produced by some of the members last fall called the "Open Mind," which they billed as "Oakland's only hip-hop open mic." Now, that event takes place every Thursday night at Mary Weather, a new gallery space and clothing store located at 333 15th Street. These weekly "cyphers" are essentially large freestyle rap circles that typically spill out onto the street and attract lively crowds. "We're making some noise and people are interested in what we do," said Taharka Chango El Henson, a 21-year-old East Bay native and Oakland Mind member. El Henson, a rapper and visual artist, said that for the performers, the cyphers are a unique opportunity to let loose in a supportive environment. "It's like a family reunion. Everybody is there expressing themselves. I'm gonna tell you about my life, you tell me what's going on in your life. We're updating each other. ... It's well-needed therapy." The cyphers are naturally unpredictable, he added: "You never know what you're going to get." And for the crowds, they're intimate and engaging. "It's interactive. Everybody has an opportunity to get on the microphone." In addition to showcasing talent and giving artists — both seasoned rappers and inexperienced performers — a comfortable space, the cyphers also help strengthen the connections between Oakland Mind members, which then enhances the quality of their performances. "It really solidifies our presence with each other, so that when we do other shows, we've got a really good rapport and it just flows really naturally," said Amaranth. A recent cypher I attended felt like a friendly block party, with about a dozen rappers taking turns on the mic, shouting rhymes that attracted passersby. 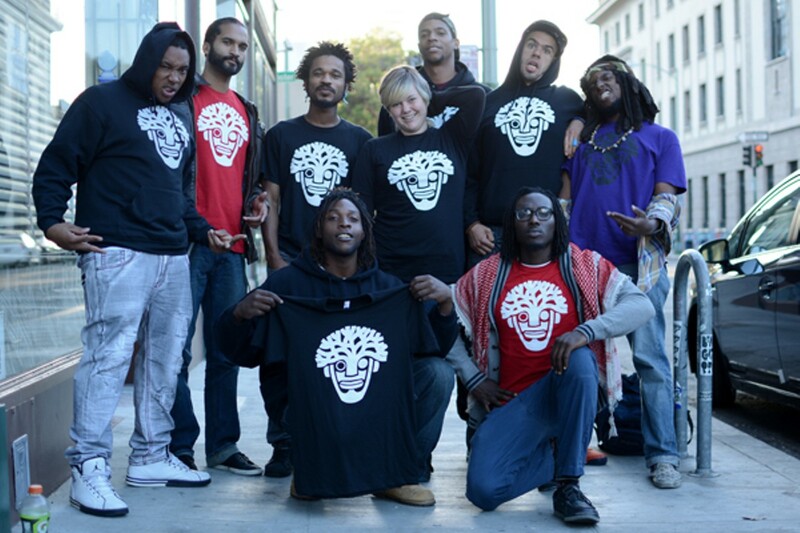 In many ways, the cyphers act as a springboard for the group's long-term goals by increasing Oakland Mind's visibility. The collective is currently in the process of launching a music-licensing component. With record sales plummeting and the cost of touring increasing, licensing can be a lucrative opportunity for musicians. Amaranth said there's wide demand for beats and hip-hop hooks for film and television productions, commercials, video games, and more. Bronson is spearheading the licensing efforts of the Oakland Mind; his mentor is Xavier Dphrepaulezz, the founder of Blackball Universe, an Oakland-based artist collective that runs a successful licensing business. The idea is that Bronson will help Oakland Mind members license their music, and the collective will take a cut of the profits to help further its efforts. "We're taking Oakland and putting it out to the world," Bronson said. As the group gets more opportunities and produces more music, "it can be a real snowball effect," he added. David Meza, the videographer and photographer of the group, said Oakland Mind musicians deserve to be heard by wider audiences. "There are so many artists we know who are these big rappers that are super famous to us," he said, "but people don't know them yet."